Disclaimer- I am a belly dancer who has been medically diagnosed with PCOS since 2002. By no means am I medical professional, Nor am I qualified or insured to offer medial advice-However I can speak of my own experience as a Women, Mother and Belly dancer who lives every day with pcos and has done since the age of twenty-Belly dance has helped me and maybe it could help others too- The intentions of this blog article is to help women from all over the world who suffer with this condition. PCOS is a female conditional that may be hereditary. It effects females of reproductive age. It has many characteristics. Three of the main symptoms being fluid filled cyst on one or both of the ovaries along with irregular or no periods and including a hormone imbalance. HOW MANY PEOPLE GET IT? 1 in 5 Women of child bearing age. Girls as young as eleven can suffer with pcso. It is reported that more than five million Women in the Uk alone suffer with the disorder. The answer is unknown but experts say there could be many factors including genetics-Most Women who suffer from this condition are more likely to have a Mother or A sister that have it also. There maybe links to family members who are Trans-Gender as well as family male balding. 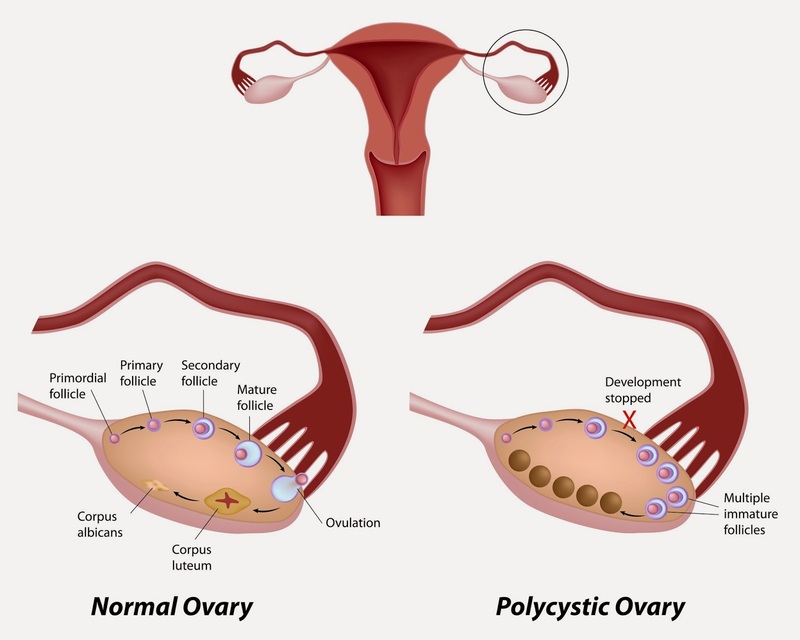 NOT ALL WOMEN WHO HAVE CYSTS ON THE OVARIES SUFFER FROM PCOS- PCOS IS A SYNDROME THAT EFFECTS THE BODY AS A WHOLE - Women who experience symptoms as stated below will have their blood tested to diagnose hormonal imbalance that causes pcos. *Please remember that each physical symptom may cause an emotion symptom also. Weight gain-Obesity-Extra weight around the waist -Whether you are sleek, Curvy or Cuddly. IF YOU SUFFER FROM EMOTIONAL SYMPTOMS BECAUSE OF THE PHYSICAL ONES SOME TIMES SMALL THINGS LIKE GOING FOR A WALK TO GET OUT OF THE HOUSE AND SPENDING TIME WITH PEOPLE WHO MAKE YOU FEEL GOOD ABOUT YOURSELF IS A GOOD IDEA ESPECIALLY IF YOU HAVE POOR BODY IMAGE, DEPRESSION OR YOU DON'T WANT TO SOCIALISE-When you feel down the last thing you need is other people bringing you down even more-Avoid toxic people. The first time I experienced ovarian pain was when I was 8 months pregnant. The pain was in my left side of my belly and one day it got so bad that I had to go to the hospital. I was so young and so scared worried that there was something wrong with my baby. Upon investigation luckily my baby who is now 12 years of age was having a great time playing football with his mothers insides. I left the hospital with no explanation to what these strange excruciating pains where, But as long as my boy was okay so was I....For Now. By the time I was 21, A couple of years after having my son by caesarian section I started to have really bad pelvic pain again. At first my GP thought it was scar tissue from having a caesarian section back in 2001. The funny thing was the pain would come and go and would often change from the right side to the left. Some times the pain was so bad I couldn't get out of bed or go out of the house. Then I started getting sugar cravings, I put weight on around my belly but know where else. The weight was around my waist and my belly was rock solid. Good outty stomach muscles...or so I thought. The push came to the shove when one night whilst sleeping I woke myself up because I couldn't breath(Sleep apnoea).I was experiencing dizzy spells and Later I started getting migraine's along with many other symptoms. I remember thinking to myself ...." hell was going on with me?" At the time pcos symptoms took over my life and I wasn't feeling good about myself at all but that is how having pcos and all of the symptoms that come with it have you feeling. Very low. Finally my GP wanted to investigate. I had a pelvic ultrasound which showed both of my ovaries where slightly enlarged and had what medical professional refer to as a pearl necklace (fluid filled cysts) around both ovaries. My GP explained that the ultrasound showed that I defiantly had cysts on my ovaries but I would need a simple blood test to diagnose my poly-cystic ovary syndrome. So when the result came back I was finally diagnosed. I was given medication which led into a downward spiral of depression so I stopped taking it. Later I decided to research natural remedies and ever since studying herbs and their benefits along with a healthy diet and plenty of water and exercise I have never felt better. I have tried Saw palmetto which was great at first but I realised it made me very aggressive but other people with pcos swear by it. However I take Vitex agnes castus on a regular basis and this helps with most of symptoms I have experienced. I drink plenty of water, Herbal tea's and have a low carbohydrate high protein diet with lots of fresh fruit and dark green vegetables. I don't eat overly processed foods any more and buy my meat, veg and bread organic and fresh every day as well as being a disciplined four hour practice a day girl. I get up at 6am every morning and drink warm water and lemon, I warm up and do 30 minutes of pilates followed by flexibility stretches and belly dance technique and choreographies. I added 100% Greek yoghurt to my diet recently along with powder whey protein shake. I still have cheat day's where I eat loads of cake, Shop bought butties and pasties,Costa Coffeee, Take away's, chocolate and alcohol...I am only human after all. If you want to try belly dancing for its many benefits you don't have to do four hours a day like me you can start with one class which is one per week. Learn the basics and go home and perform the moves when ever you want to ease pelvic pain or be in touch with your feminine energy. Classes are brilliant for therapeutic benefits. When I started belly dancing about two years after being diagnosed with pcos (10 years ago) I found it to be very therapeutic. I felt very more in touch with me and who I was again. The teacher was great and I liked her way and how she introducing students to goddess dance and how to be in touch with many aspects of being feminine. Of course many people see this as being mumbo jumbo and a bit weird but it is actually quite healing in its self. There are some Psychological, Scientific and physiological explanations as to why taking part in classes or workshops that promote female connectivity, Spiritual dance or healing dance as a form of physical and psychological healing can be very beneficial to people who suffer from disorders such as poly-cystic ovary syndrome. What ever kind of belly dance whether it be standard technique, Cabaret or goddess themed will not matter because in essence it is the movements that are benefiting your needs. However if you are spiritual or open minded individual then of course you will enjoy goddess dance. The style of belly dancing I teach is cabaret style belly dancing because it is fun, It is a mix of many styles of belly dance, eastern and north African dance and it does not discriminate against any style of belly dance including goddess dance. It does and it will cross over with today's belly dancing because of its roots in the history of belly dancing as does many other spiritual disciplines or religions that are also found in belly dance history. Yesterday I went for a routine ultrasound and learned that my right ovary is cyst free. I am feeling very happy about that because I do feel Diet discipline, Belly dance, Herbal and holistic alternative therapies have helped me a lot. HOW CAN BELLY DANCE HELP PCOS SUFFERERS ? Belly dance can help in many ways as a form of holistic fun feminine exercise. I have experienced the benefits of belly dancing and I have taught ladies who have also been diagnosed with pcos who have stated belly dancing eased some of the pelvic pain and helped them to feel better about themselves. I also think the positive socialisation of belly dance classes in beneficial to ladies who have lost connections with friend and socialising in general due to being depressed and getting into a negative pattern of locking themselves away at home- I know how it feels because I have been there. *Belly dance movements such as undulations, belly/camel rolls and figure of eights help to stretch out the muscles as well as relaxing them. It is like an internal massage which is great for the pelvic area resulting in this area of the body becoming more relaxed and toned. -Hip lifts, Drops, Twists and slides are fantastic for your waist area. Unlike sit ups that focus on the six pack area - these isolated belly dance movements incorporate the obliques. If we dont use obliques we will eventually loose our waists... this is where new mothers make the mistake in thinking it all about sit ups. I like to teach my students zip ups... an exersise many pilates fanatics use. Every pilates fan I have met has good core stability..no matter their ages or shape. -Belly pose or dancers posture incorporate the core muscles which are the most important muscles in our body. With out them we would not be able to stand up. The core muscles are situated from the diaphragm area down stomach to the pelvis around to you glute muscles (bum) as well as the lower back. When we learn how to contract and relax these muscles properly we train our bodies in positive posture and we keep our bodies young. The chest and shoulder area as well as the thighs and weight distribution of the feet also play an important roll in positive body posture. *Belly dancing focus's on the abdominal area- an area most pcos sufferers carry excess weight-whether you are Sleek, Curvy or Cuddly we can all carry weight on this area. 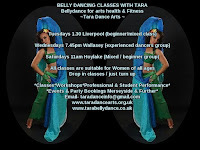 *Belly dance like other classes or clubs that support positive female socialization can boost your confidence levels especially if pcos has left ladies feeling depressed or do not feel like socialising. There are classes world wide and some teachers have various offers. If you don' want to go to a class you can buy DVDs or you can watch and join in with YOUTUBE videos. There are streaming Videos on-line and one of the best ones I can advise you to subscribe to is RAQS TV. There are lots of different styles you can choose from. Keep checking back to this post as other benefits maybe added.